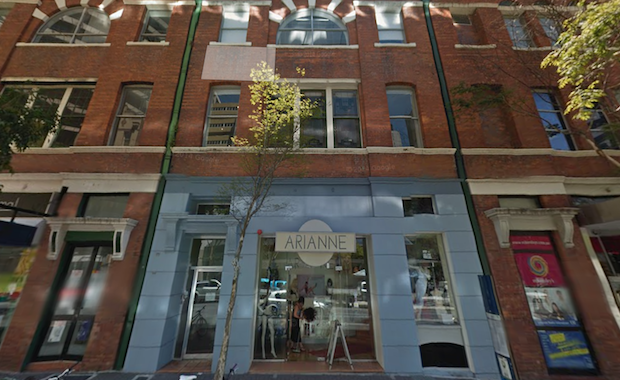 A rare Brisbane CBD building positioned in the city’s tightly-held core precinct has been sold for $5.2 million. The 95 Edward St property was sold by Michael Collins of Burgess Rawson and Peter Chapple of Savills on behalf of its private owner to owner occupier RT Health Fund. The retail and office building was sold vacant possession, with the current ground-floor retailer remaining on a short-term leaseback. Mr Collins of Burgess Rawson said 95 Edward Street presented a unique opportunity to purchase a prime Brisbane CBD asset in an outstanding location. “The offering of CBD properties in the core precinct is extremely rare and highly sought-after by both investors and owner-occupiers,” he said. Mr Collins said 95 Edward Street occupies a high-profile position on the luxury Edward Street retail strip, in close proximity to major international brands such as Zegna, Hermes, Hugo Boss and Max Mara. "Edward Street is now firmly established as Brisbane's premier luxury retail destination and this property is perfectly positioned to benefit from the growth of the precinct," he said. Mr Chapple of Savills said the 95 Edward Street sale continues the renewed activity and confidence in the tightly-held sub-$10 million Brisbane CBD investment market, largely dominated by high net worth private investors. Savills Research shows there has been a total of $653.84 million in commercial office sales (above $5 million) in the Brisbane CBD and Fringe for the 2014 year to date. Mr Chapple said the Brisbane market is currently very tight for quality investment opportunities. "It is rare for properties of the nature of 95 Edward Street to trade as they are normally held by high net worth owners that infrequently offer them for sale,” Mr Chapple said. 95 Edward Street has a total net lettable area of approximately 816 square metres and basement parking for six vehicles.